Throughout the ages, the silver stag has been a powerful symbol in Celtic mythology and folklore. Its appearance in a story usually heralded great change in the life of the central character, and in Scotland these proud and noble creatures are shrouded in great mystery and majesty. 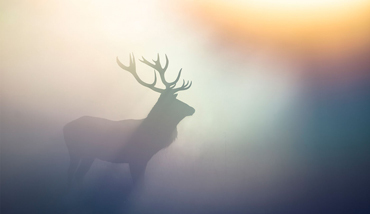 For us, the silver stag represents our proud Scottish heritage. It also represents quality and our commitment to creating beautiful products, locally and ethically sourced and produced, that we know you will enjoy. As a company we are 100% committed to upholding Aristotle’s firm belief that the point of economic exchange is to benefit both parties. You will benefit having purchased a little piece of Scottish heritage, whether it’s something pretty, fun or useful and we will benefit by being able to offer more support to the communities we work with throughout the world. For us, this represents a great change. Your purchase does so much more than it normally would and is a wonderful step towards communal responsibility and a more balanced society for all. Silver Stag of Scotland is a Community Interest Company (CIC) which as a social enterprise operating as a limited company, has special additional features, created to allow us to conduct the business to help serve the most vulnerable and disadvantaged people in society. When we set up the company we knew that we wanted to make a difference to the lives of those who were at the extreme edge of social and economic disadvantage both in this country and abroad. As an outward focused organisation, we measure our success by the lives we transform not the awards we receive or the publicity we generate. Silver Stag was set up to provide employment opportunities for those in Scotland who have been affected by social or economic difficulties. This may include young people who have experience of homelessness, disability or other social or economic isolation. As part of this programme of support we provide funding for one of our Scottish partners to provide pre-employment and vocational training whilst the other partner delivers three SQA qualifications in peer education and peer mentoring. These qualifications then equip the learner to enter into either the labour market or identify an organisation where they can use their new skills as a volunteer. In 2014 we developed a tartan for one of our Scottish partners, STAND International, to raise awareness of the work they do with disadvantaged individuals and communities both in Scotland but also in other countries where they have partnerships, mainly Belarus, Ukraine and Romania. You will find various products on our website which blend the STAND tartan into their design or have a subtle reference to it. You can find out more about the work of the charity here. In 2015 having worked with a Ghanaian partner for several years we decided to buy a 10-acre farm so that our partner could grow rice and use the surplus of this to support a school for orphans in Jasikan. When we first started with the school there were 82 students at the school, now there are over 130 students. As well as supporting the school the farm employs disabled and disadvantaged young people in Ghana who otherwise would struggle to find employment and support their families. Through our work with the rice farm we realised small land owners are stigmatized as poor and exploited by larger commercial companies. This locks them out of local markets and forces them to consider taking on exorbitant loans to buy seeds, fertiliser and link with transport costs. As a result of this in 2017 in collaboration with our Ghanaian partner we established the Ghanaian Chamber of Farmers (GCF) which, through a micro financing scheme, allows them to purchase superior seeds and equipment at cheaper rates whilst at the same time providing the farmers with the necessary farm training they need. As a result of this increased financial security they no longer have to remove their children out of school and hire them out as expendable labour to larger land owners. Instead the children can continue receiving an education and study towards a career of their choice. With many of the farmers growing chillies we decided to import these products to Scotland and try and support the farmers by providing them access to the UK wholesale market. The chillies are harvested, sun dried and are packaged and are transported to Accra before finally arriving in the UK arriving fully compliant with current EU and UK import legislation. Within months we were receiving very favourable feedback about the chillies (the Scoville scale rates them at 50000+) and as we were going on a trade delegation to Chicago we decided to invest in creating a handful of chili products including whiskey and chili sauce and chocolate and chili sauce. As well as providing social benefits for families in Ghana, purchasing these chili products benefits young people in Scotland. Once the dried chillies arrive in Scotland our Scottish team process, pack and transport them to market. They also market and advertise to a wide international audience and direct the wholesale and e commerce side of business. This means that two communities benefit whilst at the same time you the buyer experience a high-quality brand with the knowledge of the positive impact your purchase has created. As our work in Ghana has developed we have begun to understand more about the complexities of child slavery within the country. Recent government reports suggest that 1 in 5 children are subject to child slavery. It is a highly complex problem and in an effort to contribute to eradicate this we decided at the beginning of 2018 to explore the option of organising a conference in Accra to progress the stalled National discussion around child slavery. At the same time, we purchased a 10-acre farm at Lake Volta which also came with river rights to establish a fish farm and a chili Farm. This is in the early stages of development but we would hope that the surplus from this project can be used to tackle the proliferation of child slavery in Ghana and that combined with the sale of our chili products here in the UK we can support children out of slavery and back into education. If you are interested in purchasing any of our chili products then you can find them at our worldwide Silver Stag website here. Thank you very much for choosing Silver Stag of Scotland. We hope you enjoy your purchase as much as we have enjoyed creating it.